Motorola has announced the launch of their latest smartphone powered by Google’s Android OS for the UK, the Motorola XT720 Milestone. 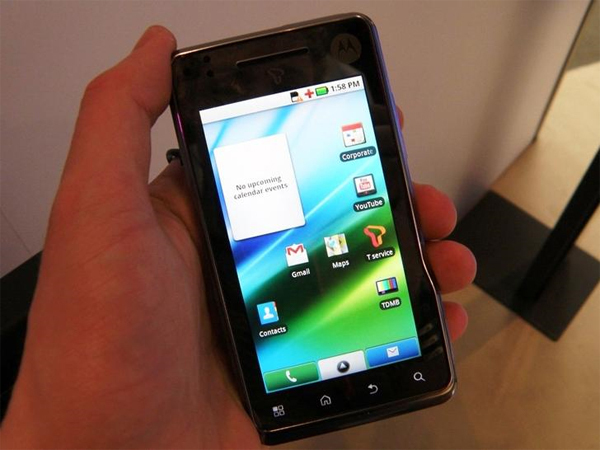 The Motorola XT720 Milestone comes with Android 2.1 and it will be upgraded to Android 2.2 after it goes on sale. Specification wise, the Motorola XT720 Milestone features a 3.7 inch WVGA multi touch capacitive display with a resolution of 480 x 854, and it has an 8 megapixel camera with a Xenon Flash and a ten times digital zoom, the camera is capable of recording HD video in 720p. Other specifications on the Motorola XT720 Milestone include HDMI out, integrated WiFi, and it comes with a 8GB micro SD card. There is no word on pricing as yet, the Motorola XT720 Milestone will be available to pre-order in the UK from the 11th of June 2010. Have a look and our article on Android vs iPhone to see which smartphone and mobile platform is best for you.